Safety for clients and staff is Precept Services Pty Ltd number one priority. That’s why we have our own dedicated Health and Safety Management department with qualified staff to work with clients to ensure complete processes and procedures to comply with all relevant legislation. And our qualified WHS Manager is happy to come to you to make sure that we understand the site work, your company requirements and the best way to communicate before, during and after our work is completed. 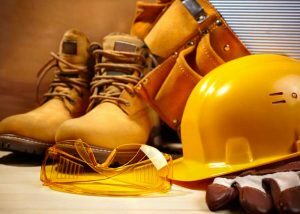 We have a comprehensive and detailed Occupational/Work Health and Safety Management Plan in place. This plan is constantly revised and strictly enforced at all operational levels. The O/WHS and Safety Management System is compliant to AS.NZS 4801. In conjunction with our clients we develop individual site safety plans to comply with all company safety and legal requirements. And this extends to our Environmental Management Plans and Procedures. Our Environment Management system is compliant to ISO 14001 to ensure best possible practice. We want to ensure that our corporate responsibility to our natural world is upheld with care and discipline. We have Safe Work Method Statements (SWMS), and employees create individual Job Safety Analysis documents (J.S.A.’s) when required and supply necessary certificates. All our employees are appropriately trained, have completed overall client company and site inductions and hold all relevant licenses to work competently and safely. Precept Services Pty Ltd implements safety and environmental Policies and Procedures that are dynamic working documents that are relevant and clear to all staff, suppliers and customers. At Precept Services Pty Ltd Health, Safety and the Environment are at the forefront of every decision we make. We will never go ahead with a project that we feel could compromise the health and safety of our staff, our clients, the community or the environment. Precept Services Pty Ltd is fully insured. We engage risk management analysis at all levels of our business, including safety, environmental, legal, ethical and financial. We will not undertake any work unless we have mitigated the risks at all of these levels. We have built our reputation on our ability to achieve our core standards and responsibilities. A decision to engage us is a decision to work with a company that is aware of its responsibilities to its staff, its clients, the environment and the wider community without compromise.